Proofreading Manchester – UK proofreading services Proofreading Manchester Rated 5 / 5 based on 143 reviews. | . We run the best professional editing and proofreading service for students, writers and businesses in Manchester. We provide copy editing and proofreading services for student essays, assignments, PhD dissertations, theses, novels and business documents. Our service is fast, secure and 100% confidential. We are a team of experienced, Native English-speaking proofreaders based in the UK and work with both students around the UK and worldwide. A native English proofreader will check your work and our service includes proofreading and editing in the price you pay, unlike other companies. Professional proofreading looks at grammar, spelling, punctuation and capitalisation. Editing looks at sentence structure, word choice and academic style. The end result is a professional and concise document. We have many hundreds of happy corporate and academic clients. We highlight changes and explain your errors using Microsoft Word’s track changes feature. 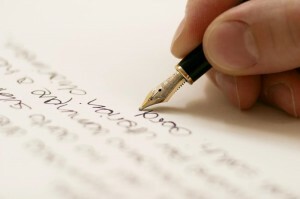 We also provide comments and recommendations on how you can improve your writing. Using track changes gives students full control of the edits and corrections they would like to incorporate into their work. Have a look at our samples to see how a document with tracked changes will look. For an affordable price you just can’t beat this quality of service. We are 100% confidential and secure. 2) The Manchester School of Media, University of Manchester recommended us for proofreading services. Out of all the other proofreading and editing companies in Manchester, they chose us. That says it all. Or perhaps you are a business? We work with all types of business documents from reports, powerpoint presentations, proposals, tenders and white papers to website copy. Or a writer? We edit and proofread both fiction and non-fiction novels and books. How do you make changes in the document? We use the ‘track changes’ feature in Word that highlights all changes in red, you can accept all changes automatically. There is no need to come in to our office, you send the document by email and we send it back the same way. EFT (electronic funds transfer) and Paypal. EFT is preferred. Please visit our “rates” page to find out more. Click the button below now for a fast, free quote.